For a limited time only, get your ears on this exclusive sampler from Audiogon and HDTracks. 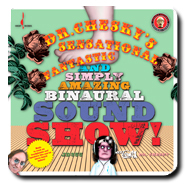 15 Hi-Res songs, all produced by Chesky Records, all guaranteed to blow your hair back for only $4.98. Each hand-selected track was carefully chosen to showcase the unique facets of your high-end system – from the blackest blacks to the most harmonious highs. There’s even a few special Binaural recordings, including a fantastic “haircut” for you Head-fi lovers! 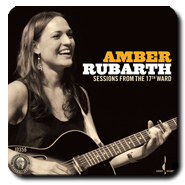 Published by: Inspiraled Music (ASCAP), Chesky Productions (ASCAP)Chances are you haven’t heard a recording where the singer’s voice wasn’t dynamically compressed, but Ms. Rubarth’s voice is 100% au naturel. Her guitar and the accompanying violin, cello and percussion were also unencumbered by any form of processing. Published by: Chesky Productions (ASCAP)Chesky’s spirited piano rags should be crystal clear and precise, a transparent window back to the sound at the session. The nine-foot grand piano’s dynamics are unrestrained, so try to play this track at a realistic level, if you dare! Written by: Willie Dixon & J. 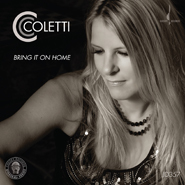 B. LenoirCC Coletti breathes new life into Led Zeppelin’s tune, originally written by Willie Dixon, and this recording should transport you directly to the recording venue. You’ll hear her vocal, electric guitar, bass, harmonica, and drums’ sound. You are there. 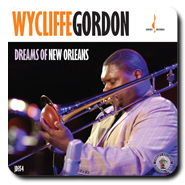 Published by: Coup de Cone Music, Inc. in 1996Gordon’s arrangement of this classic will provide a thorough workout for your system. Turn up the volume on this one, and listen to the band roar! The banjo and tuba leads swirling around Gordon’s trombone and Jon Erik-Kelso’s trumpet are terrific tests of your system’s low-level resolution. Genre: JazzChances are you’ve never heard uncompressed drums, but here you’ll be treated to three master percussionists going to town. Turn up the volume, but go slowly, we don’t want to blow up your speakers or headphones! 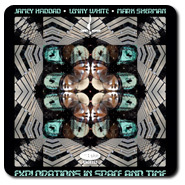 Published by: Chesky Productions (ASCAP)Dr. Chesky plays a frame drum and Anne Drummond is on flute, and they trade off as they listen to their sounds coming back to them in the Church of St. Paul the Apostle in New York City. You should have a good sense of the space—the church is 284 feet long, 121 feet wide, and 114 feet high in the towers! The reverberation you hear is what they heard—it wasn’t added in post production mixing. Composed by: Wolfgang Amadeus MozartThe Choir and mighty organ were also recorded in the Church of St. Paul the Apostle. There’s something about the way the choir’s voices are suspended in the air that is truly magical. The sound is highly transparent and pure. The organ’s lowest notes may test the bass stamina of your speakers or headphones. Composed by: David CheskyProfessor Edward Choueiri gives you a binaural “haircut,”and over headphones Edward’s snipping scissors should encircle your head. This binaural recording can produce a remarkably holographic effect. 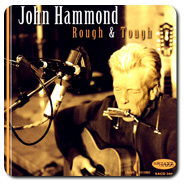 Written by: Tom WaitsJohn Hammond throws his body and soul into this Tom Waits tune. He stomps his feet, wails on his guitar, blows his harp, and sings like his life hangs in the balance. There’s total commitment to the blues, and this recording leaves nothing to your imagination. He’s all there. Written by: Stevie WonderMs. 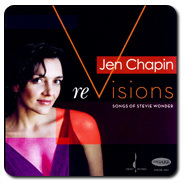 Chapin’s intimate interpretations of classic Stevie Wonder songs make for a fascinating journey. The jazzy interplay of the trio with Chapin’s vocals, Chris Cheek’s saxophones and Stephan Crump’s stand up bass, together cut to the funky heart of the matter. The three players’ sounds should take on a truly holographic presence between your two speakers. 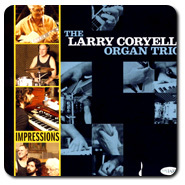 Composed by: Paul WerticoListen to the exquisite textures of Paul Wertico’s high-speed brushes flying over his drum kit, the silky glide of Sam Yahel’s Hammond B-3 organ, and guitarist extraordinaire Coryell’s gentle fretwork. The atmosphere is so quiet, but the pulsing groove should get your feet tapping. Written by: Rebecca PidgeonPidgeon and her tight little band get down to business. Listen closely to this live in the studio gem, and feel the connection, the spark of creating fully realized music in the moment. The players all know there will be no fixing it in the mix, overdubs, compression, or any form of studio trickery, just their music, as they played it. And that makes all the difference. 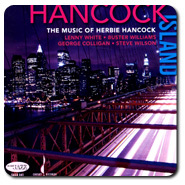 Composed by: Herbie HancockHere’s what happens when you have George Colligan on Fender Rhodes piano, Lenny White on drums, and Steve Wilson on saxophone mixing it up on a suite of tunes. These veterans all dig deep, but check out White’s drums in particular, they way they ignite and propel Herbie Hancock’s jazz standard. Play this one nice and loud, you should feel Cantaloupe Island in your bones! Written by: Sid Wyche & Mayme WattsJazz singer Louise Rogers swings mightily here, she says she was inspired by the way Peggy Lee did the tune on her 1962 Bewitching Lee! album. She’s right of course, and she’s clearly having a ball inhabiting the tune. Ms. Rogers and her band should sound fully three-dimensional and present, they are all being “heard” by just one Soundfield microphone! Written by: David Gilmour & Richard Wright (music) and Roger Waters (lyrics)The drum “heartbeat,” soulful Hammond B-5 organ and sax, and jazzy guitar set the scene, and then the tempo picks up. 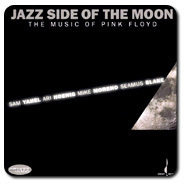 It’s an auspicious exploration of the ultimate ’Floyd album, reworked as an improvised jazz suite. Listen to this one in the dark, and let your mind float downstream. 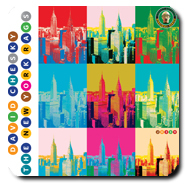 For more information about the artists or which file to download, click here. Don’t forget to keep your ears open for the next sampler coming out early this summer!